Nebulas is a global blockchain search engine. It uses a universal standard of value to help users find high-value DApps and other information quickly. Based on its blockchain valuation mechanism, Nebulas proposes future-oriented incentive and consensus systems, and the ability to self-evolve without forking. In general, Nebulas has 62,207 fans in the mainstream social channels (not de-emphasized), but the community activity is generally low. Except for the recent discussion about the Token Swap news in Telegram, there are not so much insightful discussion at those social channels. Most of the release are about the project information disclosure and announcement, as well as information related to some activities. Recently, Nebulas is undergoing another Token swap. According to the information from the Etherscan.io, there are currently 17,145 holding addresses, and the total number of NAS holding addresses in the Nebulas explorer is 246,944. The total number of addresses in the rough calculation is 264,089 (not deduplicated), which is relatively large in terms of quantity. The current price of NAS is $1.42, and its ICO price is 1NAS=0.00272993ETH (May 2017), which was about $2 at that time. Compared with today’s price, it is about 0.71 times its first price, which has fallen below its ICO price. Since the beginning of the month, the daily average trading volume has gradually declined, from 8 million US dollars to 3 million US dollars trading volume daily. According to the data from Coinmarketcap on September 30, NAS is currently ranked 89th in the cryptocurrency market, and it has been listed on 9 cryptocurrency exchanges. The trading depth is mainly concentrated in Binance, Huobi Pro, BCEX. From the performance of its recent price in a month, the price trend of NAS has been in a state of volatility, and the trading volume have gradually stabilized. At present, the cryptocurrency market is still in a downturn overall. However, since the NAS nano token swap has started on September 26, the NAS price seems to have an upward trend. Despite official blogs, Nebulas has also set up social channels such as WeChat account, Reddit, Twitter and Facebook to make regularly disclose. According to statistics, the current regular updates include technical biweekly reports and community biweekly reports, as well as announcements, activities, plans and progress. It is important to mention that Nebulas has recently launched a new round of “Token Swap”, which requires users to switch ERC20 token with NAS nano token in their hands from September 26th to October 10th. Or they would suffer asset losses if they have not been replaced after October 30. Previously on May 2018, Nebulas announced the news of the token swap in exchanges. This time, the coin exchange issue was again mentioned. According to the officials, last time of token swap was mainly on exchanges, and this time it was open to individuals. But for the current number of NAS ERC20 coins have not been replaced, the official did not answer. As a public chain, Nebulas is relatively strong in terms of technology, and technical progress has been continuously announced, and the project has been in progress. However, its community activity is relatively low, the participation of fans is low, and the interaction of official is relatively not much worth to mention. In the recent Nebulas Reddit AMA, Aero Wang also acknowledged that currently NAS community is not active and needs to be further improved. However, at this stage, the market continues to be sluggish, and the attitude of the uninitiated people to the blockchain has turned to wait and see the next step. 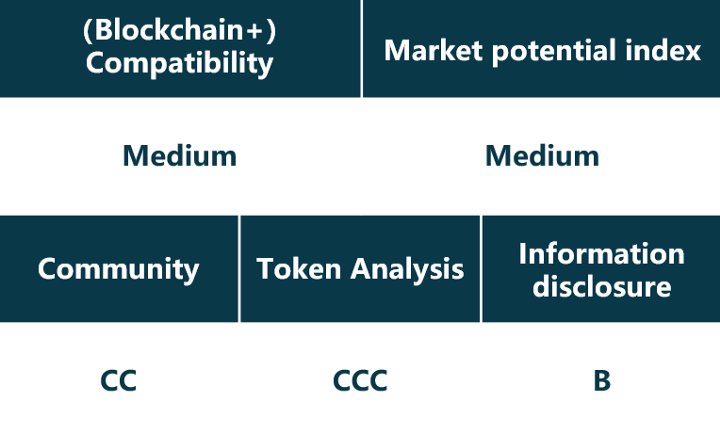 It is difficult to rebuild the community, especially from the performance of the previous Nebulas, they do not seem to be proficient in marketing and community building. NAS has also fallen below the ICO price, although there is still a certain amount of transactions, but if there are not a lot of new supporters to join in, there may be a situation in which the price trend of NAS will continue to be sideways.